"We didn't know you could repair that!" Our 30,000 sq ft repair center is located in Stoneville NC (just north of Greensboro) and it is fully equipped to handle large and small industrial repairs. 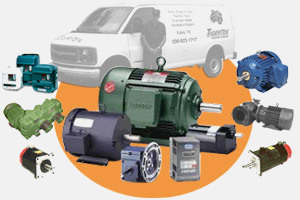 With FREE pickup, FREE delivery, FREE quotes and 24/365 service, TigerTek offers the complete repair package. Please check us out at www.tigertek.com, or call us (336 623-1717) and we will send a salesman to answer any questions. Pump Repairs that will get you pumping again! You can send us your pump for repair, or will will gladly pickup for FREE in our local fleet area. 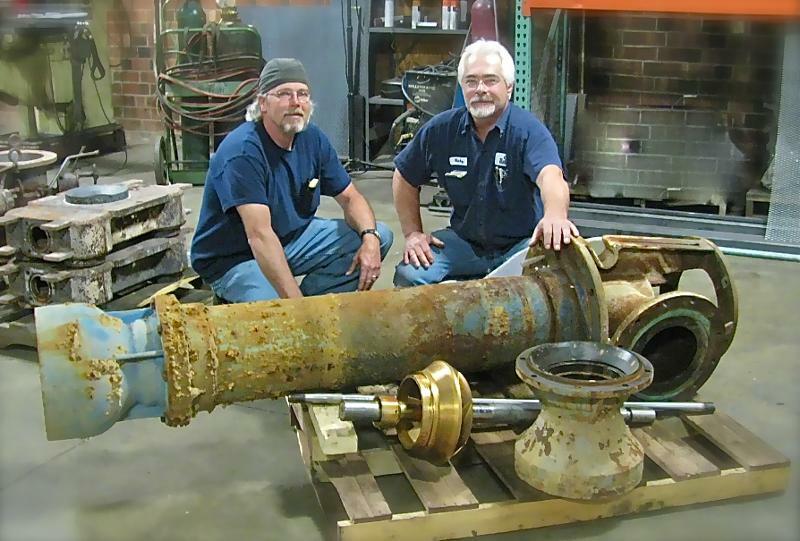 This photo shows a turbine pump where we are handling the entire project (disconnect, remove with crane truck, repair and reinstall). We have been doing pump repairs in the Triad since 1983 and we cover all the bases (industrial, municipalities, hospitals, etc). Click for more info. "Can a motor lose it's efficiency after rewinding"
YES if your repair center does a "fast burn-out". NO if you carefully manage the oven burn-out procedures. Control the oven temperature below NEMA standards. Increasing the temperature to give you a fast burn-out can kill motor efficiency. Control flame-outs. Use a modern oven with water vapor suppression to avoid runaway combustion. Motor efficiency measures energy loss. 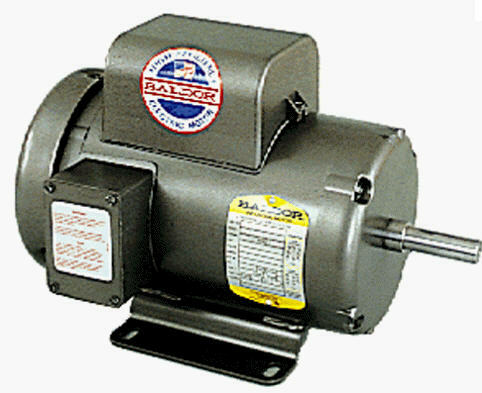 Energy loss means that you are wasting money by using a motor, which is no longer working at its peak performance. So it's really important to get a good rewind and a quality repair. Small Electric Motor regulations will go into effect in the United States on March 9, 2015. This will be the first time these specific motors will be regulated in the world. Motor manufacturers will be reviewing their product lines and determining if redesign will be required to bring products up to the required efficiency levels. Motors covered under these new regulations range from 1/4- to 3hp and include single- and poly phase two-, four- and six-pole general purpose motors in NEMA 42, 48 and 56 frames and corresponding IEC equivalent motors and frames. We'll keep you posted on updates. Baldor/Reliance, Leeson Electric, US Electric, WorldWide Electric, Teco/Westinghouse, Lincoln Electric, Sew Eurodrive, CEG, Brook Crompton, Lafert, Hyundai. 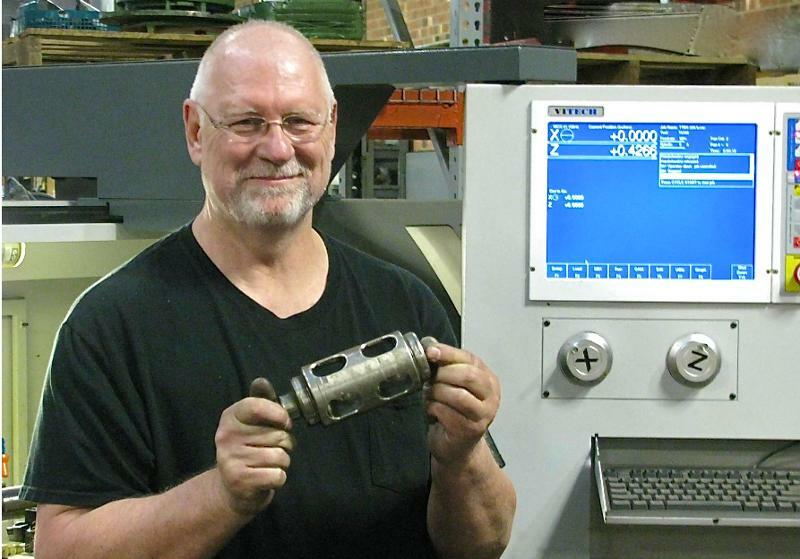 Bert is a key member of our machine shop team. He's a graduate machinist with over 35 years experience. He supports our repair operations by repairing shafts, endbells, armatures etc. He also fabricates custom precision parts. One of his hobbies is to make mead; a honey wine that dates from the middle ages. It incorporates honey, yeast, raisins, berries, etc.